Come live, work and play in the Stuart Lake region of British Columbia. Welcome to the Caledonia Estates.NIHO is pleased to introduce our latest subdivision, located just outside the historic community of Fort St James. The Caledonia Estates offer you instant access to four seasons of fun in the Stuart Lake region of British Columbia. Come test your rod against the wily salmon swimming deep within Stuart Lake, or explore one of the many parks located in the area. Hike and mountain bike on the kilometres of trails amidst the changing colours of the surrounding forests. When the lake freezes, it’s time for snowmobiling, skating and ice fishing. The Fort St James region is set to boom, with new investment pouring into the region. The Mount Milligan mine operation is the first new metal mine opened in BC’s Omineca region in ten years. 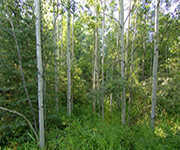 Conifex has upgraded the local sawmill, and is a key producer in the region. Tourism is increasing as improved access to the region allows more and more people to discover the delights of the nearby Lakes District.There is no better time to purchase investment properties in the Fort St James region than now. Right next door to the recreational wonderland of the Stuart Lake region, this 5 acre property would make an amazing vacation destination. Hundreds of lakes, including the fabulous Stuart and Pinchi Lake are just a short drive away, and all services are located in the historic community of Fort St James. Lot 8 of the Caledonia Estates is your home base to explore the hundreds of nearby fishing lakes. This 5.06 acre property has power, phone and all season access off the main transportation corridor. The world famous Stuart-Takla Lake chain is only a short drive away with amazing fishing and other water sport activities. With direct access off Highway 27, Lot 9 of the Caledonia Estates is the affordable foothold for the savy investor. With mines and mills providing economic stimulus, Fort St James is just waiting to explode with opportunity. 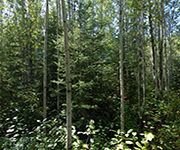 This 5.06 acre lot has power and phone, and is perfect as an investment holding or relocation. Imagine the possibilities! An ideal investment holding, perfect recreational get away, or home site for the nearby Village of Fort St James, Lot 10 of the Caledonia Estates is ready for you. This 5.06 acre property has power, phone and road access, and is located just a short drive away from all services and world class fishing of Stuart Lake. Come experience the natural splendour of the Caledonia Estates. 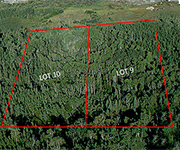 This 5.14 acre lot is only a short drive from all services at historic Fort St James, and a short walk to the fabulous fishing of Stuart Lake. Mills and mines in the area makes this an ideal investment holding for the future. 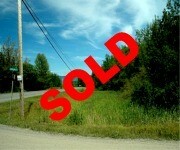 Lot 14 at the Caledonia Estates is your foot in the door into this exciting region. With an influx of investment in the resource sectors, we expect this region to be the a big mill and mine town. With 4.98 acres and power, phone and road access, this is a great investment opportunity. Come play in the heart of BC. 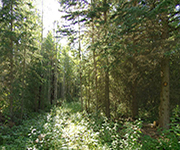 Lot 15 of the Caledonia Estates is a 4.98 acre parcel ready for you to build your vacation retreat. Come fish for the spectacular rainbow trout, or set sail on the sparking waters of Stuart Lake. In winter, ski on Murray Ridges’ powdered slopes. An all season recreational paradise. Live, work and play in the Caledonia Estates. 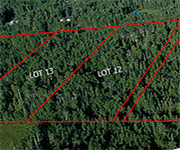 Lot 12 is an amazing 5.14 acre property, with power, phone and all season access to the fantastic fishing of the Stuart-Takla Lake chain. Investment in Fort St James means the economic potential of this region is very high. Get in on the ground floor – call today! 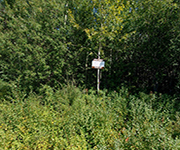 This beautiful 4.98 acre property is your chance to own an investment lot in an up and coming region. Investment in the Fort St James region means expansion in the traditional industries of the region. A building site and driveway have been constructed for you, and power and phone is available to this property. An excellent find! Located in the historic community of Fort St James, the Caledonia Estates puts you in the middle of BC’s recreational playground. 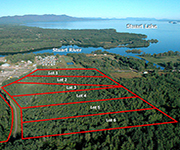 With power, phone and all season access, this 5.38 acre lot gives you your fishing retreat among the hundreds of lakes in the Stuart Lake region.